These newel bases are half size and designed to be fitted to a wall and are a great way to finish a handrail against a wall with a strong connection and a neater look. The half newel base are 90mm x 45mm and will be used with a half newel post to form a complete structural stair part. 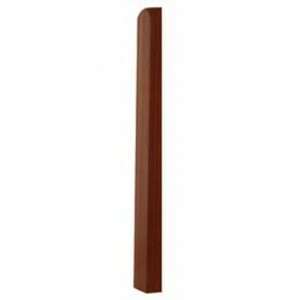 These bases are available to buy in a choice of timber. Our stair parts are the perfect way to build or refurbish any stairs. 500 mm Half Newel post bases in oak, ash, pine, hemlock, sapele, or white primed softwood that’s ready to be painted.